Are you searching latest notification of Jharkhand High Court Recruitment 2018?? If yes, then you visit a right place. High Court of Jharkhand has issued advertisement for recruitment of 73 Assistant, Typist & other vacancies. Those candidates are interested and eligible for Jharkhand HC Assistant Jobs 2018 may apply through online mode only. The online application form is available from 08th October 2018. Applicants can submit their Jharkhand High Court Vacancy online form till on 23rd October 2018. Furthermore, you can collect to read our given below article carefully. High Court of Jharkhand is inviting online application form for filling up 73 Assistant & other vacancies. This is a great opportunity for candidates those are searching JHC Recruitment Notification 2018. Applicants can apply through online mode only either here or official site. Rest details of Jharkhand High Court Jobs 2018 for Assistant post are available on below section. You can check eligibility criteria, application fees, selection procedure and how to apply from this article. So readout this page properly for full details of Jharkhand HC Assistant Vacancy. Latest News as on 08.10.2018: Online application form for Jharkhand High Court Recruitment 2018 is available from 08.10.2018. Those candidates want to fill the Jharkhand HC Assistant Vacancy application form may apply through online mode. The last date of reigstration is available till 23rd October 2018. The direct link is available at the end of the article. Eligibility Criteria of Jharkhand High Court Assistant Recruitment 2018 – Who Are Eligible to Fill Jharkhand HC Vacancy Online Form? What Are Important Dates For Jharkhand High Court Stenographer Recruitment 2018? Candidates who want to apply online for High Court of Jharkhand Recruitment 2018 must fulfill eligibility criteria also. Before going to fill online application form applicants must check that they are eligible or not. It includes details of education qualification, age limit & others. So read given below paragraph to check Jharkhand High Court Vacancy eligibility criteria. Applicants should be Graduate from the recognized university. Participants also have knowledge of computer and sound knowledge of typing for Jharkhand High Court Recruitment 2018. Remaining information check Jharkhand HC Job Official Advertisement. The age criteria are made as on 01.08.2018. Applicants should be completed 18 years for Jharkhand High Court Vacancy 2018. Participants maximum age required for General category should be 38 years. Jharkhand HC Recruitment 2018, upper age relaxation is applicable as per govt. norms. BC & BC-II candidates will receive 03 years maximum relaxation. While SC/ST candidates will get 05 years upper age relaxation. For more details check Jharkhand High Court Job Notification 2018. Selection of the applicants will be made on the basis of Written Test, Skill/Typing test, Personality/Viva –Voce. To select for Jharkhand High Court Assistant Job 2018 applicants must qualify the written examination. After that, they will call for Typing Test/Skill Test. Those candidates are qualified both rounds will attend Viva-voce round. Furthermore, details you can check Jharkhand High Court Assistant Recruitment Notification 2018. For successful submission of application form, candidates also require to pay application fees. If they don’t pay the application fees, their Jharkhand High Court Recruitment 2018 Application Form will not be accepted. Fees will be paid through online mode only using Debit card/Credit Card/Net Banking. So candidates must check given below details of application fees. Those candidates are selected for Jharkhand High Court Assistant Job 2018 will also receive an attractive salary. Jharkhand High Court Recruitment 2018 Pay Scale is mention under. Assistant: Rs. 9300/- to Rs. 34800 with Grade Pay Rs. 4600/- in PB-II (Pre-revised), In 7th P.RC. (Level-7) Rs. 44900/- to Rs. 142400/- with other allowances. Assistant Librarian: Rs. 9300/- to Rs. 34800 with Grade Pay Rs. 4200/- in PB-II (Pre-revised), In 7th P.RC. (Level-6) Rs. 35400/- to Rs. 112400/- with other allowances. Cashier: Rs. 9300/- to Rs. 34800 with Grade Pay Rs. 4200/- in PB-II (Pre-revised), In 7th P.RC. (Level-6) Rs. 35400/- to Rs. 112400/- with other allowances. Translator: Rs. 9300/- to Rs. 34800 with Grade Pay Rs. 4600/- in PB-II (Pre-revised), In 7th P.RC. (Level-7) Rs. 44900/- to Rs. 142400/- with other allowances. Jr. Translator: Cashier: Rs. 9300/- to Rs. 34800 with Grade Pay Rs. 4200/- in PB-II (Pre-revised), In 7th P.RC. (Level-6) Rs. 35400/- to Rs. 112400/- with other allowances. Typist: Cashier: Rs. 5200/- to Rs. 20200 with Grade Pay Rs. 2400/- in PB-II (Pre-revised), In 7th P.RC. (Level-6) Rs. 25500/- to Rs. 81000/- with other allowances. Candidates those are interested and eligible to apply for Jharkhand High Court Jobs 2018 may fill the online application form. The JHC Assistant Recruitment online form is available on official site as well as here also. In below section, we provide some instructions to fill the online application form. First of all, applicants have to go official site jharkhandhighcourt.nic.in. Click on the link to apply online for Jharkhand HC Recruitment 2018. Enter your personal information to get unique registration no. and password. Login with your registration no. and password. Fill other remaining information on your Jharkhand High Court Recruitment Application Form 2018. Upload documents required for High Court of Jharkhand Vacancy 2018. Now recheck Jharkhand High Court Job Application Form of Assistant post. Submit it carefully and take the hard copy of it. For more details check Jharkhand High Court Recruitment Notification. Conclusion: Jharkhand High Court Recruitment Advertisement for filling up 73 Assistant & other vacancies. Those applicants fulfill given above eligibility conditions may apply through online mode. The online registration of Jharkhand HC Job starts on 08.10.2018. Applicants can submit Jharkhand High Court Assistant Vacancy online form till on 23.10.2018. 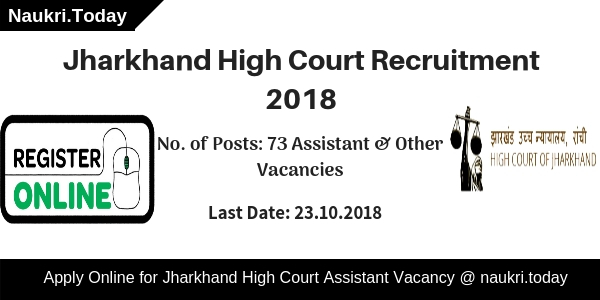 Are you looking for Jharkhand High Court Recruitment 2018 Notification? Then here is the good news for you. High Court of Jharkhand has issued an employment notification for 181 English Stenographer & Personal Assistant Jobs. Interested participants may apply online for Jharkhand High Court Stenographer Recruitment 2018 before 24.05.2018. Online registrations for Jharkhand HC Steno & PA Vacancies will start from 10.05.2018. 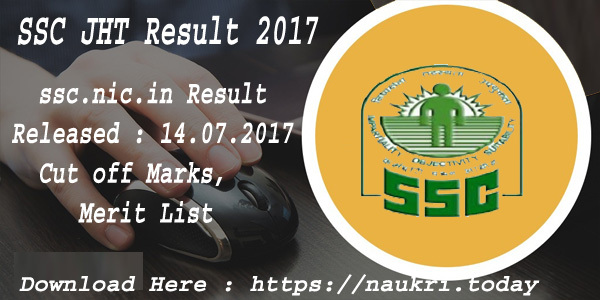 Candidates may check complete notification, eligibility criteria and other details from the official links given below. Candidates who want to apply for Jharkhand High Court Recruitment 2018 can check their Eligibility Criteria from here. Eligibility Criteria of candidates includes information regarding Education Qualification and Age Limit which is mentioned below. Candidates who are applying for Jharkhand HC Stenographer Recruitment 2018 must be Graduate from recognized University or Institution. Applicants should also have proficiency in English Shorthand and in Typing. The speed of shorthand would be 100 WPM (words per minute) and typing would be 40 WPM (words per minute) in English on computer with maximum permissible mistakes upto 10%. For more details candidates can visit Jharkhand High Court Stenographer Job 2018 Notification. Candidates must have minimum age limit 18 years old for Jharkhand High Court Stenographer Bharti 2018. Maximum age limit should not more than 35 years old as on 01.04.2018. Age Relaxation is also available for candidates. Candidates can check Age Relaxation category wise from here. Candidates who belong to UR and BC category their Examination Fees Rs 500/- for Jharkhand High Court Jobs 2018. For SC/ST category candidates their Examination Fees is Rs 125/-. Candidates can deposit The Examination Fees through Debit Card/ Credit Card or Net Banking for Jharkhand High Court Recruitment 2018. Applicants are going to be selected on basis of Stenography & Typing Test and Personality Test/ Viva Voce Test For Jharkhand High Court Stenography Bharti 2018. Candidates who clear Stenography & Typing Test will be allowed to appear for Personality Test /Viva Voce Test. Final Selection will be based on Merit List. Merit List will be prepared on the basis of marks obtained by candidates in Stenography & Typing Test and Personality Test. Candidates who got selected for Jharkhand High Court Recruitment 2018 will get on Pay Matrix Levels. Applicants can check their salary according to vacancy wise from here. Candidates can check easy steps to fill Jharkhand High Court Stenographer Jobs 2018 Application Form from here. Last date for submission of completely filled application form is 24th May 2018. Applicants can follow the instructions given below to apply for PA & Steno Vacancies 2018. At Homepage Search For Jharkhand High Court Vacancy 2018 Notification pdf. 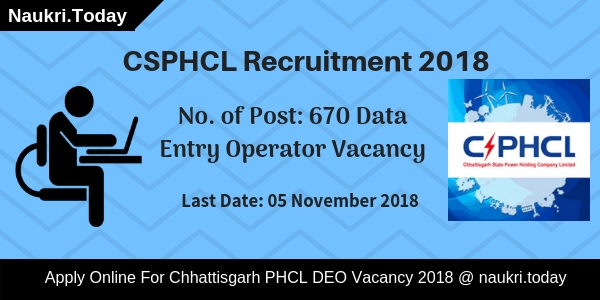 Then Read the Jharkhand HC Stenographer Bharti 2018 Advertisement Link. Fill up Jharkhand High Court Recruitment 2018 Application Form. Upload Scanned Photo and Signature in Application Form. Conclusion : Jharkhand High Court Recruitment 2018 is available for filling up 181 Stenographer and Personal Assistant Jobs. Candidates who are eligible can apply online for Jharkhand HC Recruitment 2018 from 10.05.2018 to 24.05.2018.